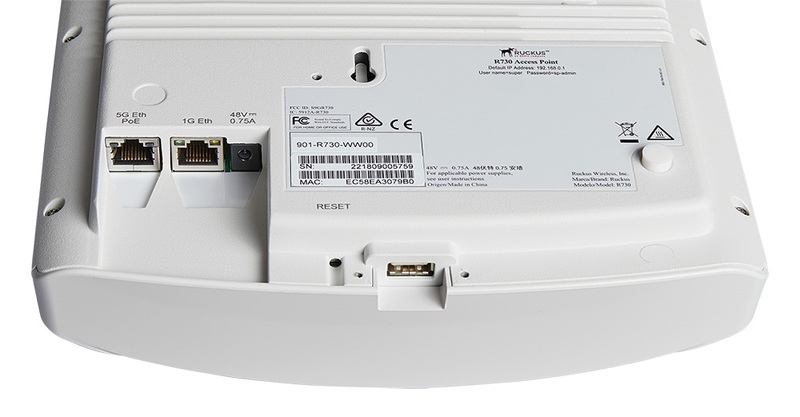 *Ultra-High Density performance, 12 spatial streams, adaptive antennas, PoE support. Includes adjustable acoustic drop ceiling bracket. Two Ethernet ports with 1GbE and 5Gbe. Does not include power adaptor. Support services beyond Wi-Fi with Ruckus IoT Suite, Cloudpath security and onboarding software, SPoT Wi-Fi locating engine, and SCI network analytics. 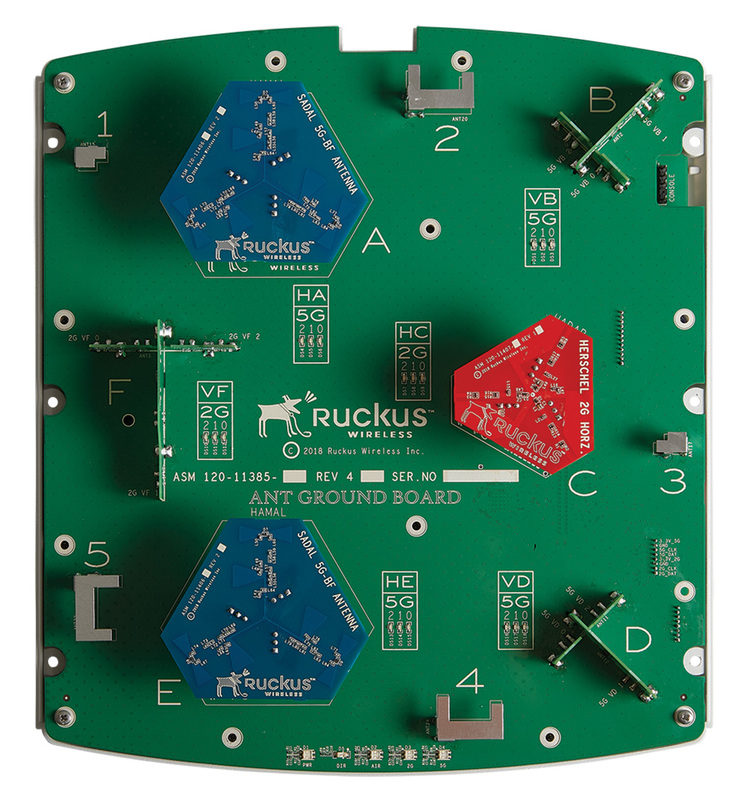 Download the Ruckus ZoneFlex R730 Datasheet (PDF).